Wherever you are, whatever you’re doing, look and feel your very best in perfect-fit clothes made only for you by Tailor Store. Whether you’re seeking an elegant dress shirt for a formal occasion, or simply relaxing with friends in style, you can entrust us to deliver superior bespoke garments, perfect-fit guaranteed. For too long standard sizes have crushed self-confidence and squeezed people into flawed templates that never truly fit. At Tailor Store, we believe everyone has the right to look and feel incredible. From the first stitches to the last button there’s genuine work behind every single dress shirt we produce, with only you in mind. It takes decades of experienced tailoring to create custom clothes this good. When you slip on your one-of-a-kind Tailor Store dress shirt, you won’t just feel the difference, you’ll remember it forever. These three words define everything we do. Our fit simply has to be experienced. That’s why, since 2003, Tailor store has been dedicated to making tailored clothes in one size only – yours. A wise carpenter once said, ‘measure twice, cut once’. Inspired by this philosophy of precision and economy, we take pride in offering our customers superior quality dress shirts at unbeatable prices. We achieve this by cutting-out intermediaries, and crafting our shirts in our fully-owned tailor shop in Sri Lanka. This gives us total control over our garment production. Interested in learning more about our work in Sri Lanka? Click here to read our stories. Tailor Store was founded in Sweden in 2003 by two young entrepreneurs with an idea to sell custom tailored dress shirts online. 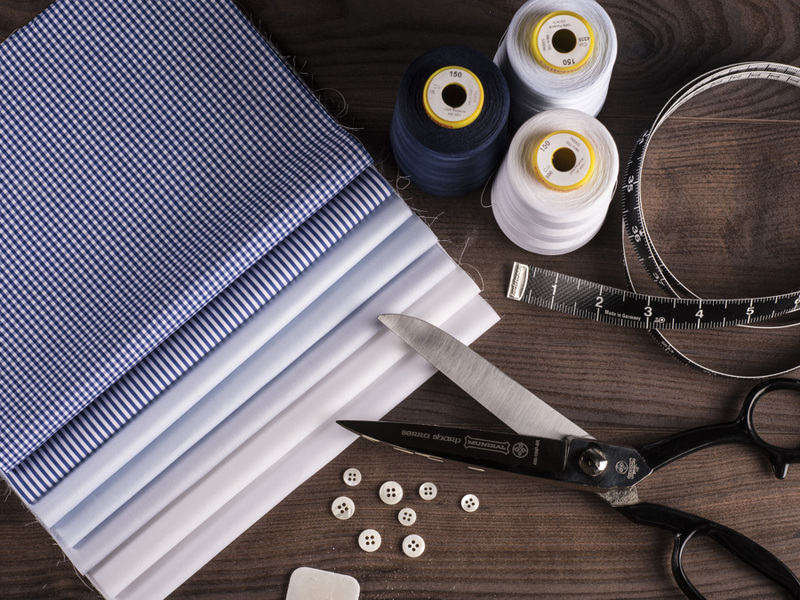 With their knowledge of modern IT technology and design they started this website, sending measurements and orders to a local tailor in Sri Lanka. Since then the company has grown significantly and today owns and operates its own manufacturing with a focus on high quality and social responsibility. The traditional fashion industry is constantly in pursuit of higher profit margins, conveniently forgetting about core social values such as worker compensation and working conditions. We refuse to be a part of that. All of our garments are produced in our fully owned and operated plants in Sri Lanka. We directly oppose child labor and our employees are well compensated and treated with respect. We offer a sustainable way of ordering and wearing fashion. All of our CO2-emissions are compensated 100% by planting new rainforest in Sri Lanka, making the company carbon neutral. Our production facilities are reviewed and certified by GOTS (Global Organic Textile Standard) which ensures very high standards, both socially and environmentally. An added perk is that our clothes are not "fast fashion", but something you can wear year after year.